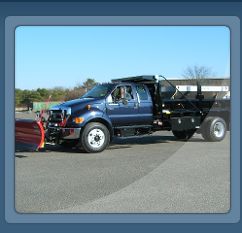 Before any winter snow storm or snow plowing ever takes place. 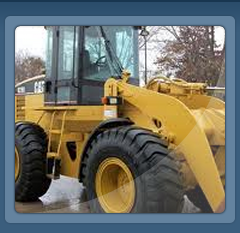 We prepare as much as possible to minimize property damage and damage to our equipment. If all the hazards and property limits are staked, it makes it much quicker to snow plow, remove snow and ice, and the chance of causing property damage is greatly reduced. We always try to prevent costly lawn and landscape repairs for the following spring. Being properly prepared before any winter weather greatly reduces the risk of equipment breakdown during the height of the storm. No one likes snow plowing damage done to their property, even if it’s repaired in a timely manner. 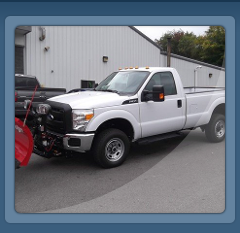 Our most satisfied snow plowing and snow removal clients are the ones who have never had damage done to their parking lots or properties. The second reason is to help snow plowing and snow removal drivers identify which commercial properties are their own to plow. 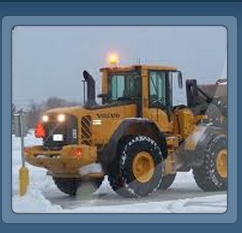 It can be argued that the snow plowing and snow removal driver should know his route inside out and not miss a single commercial snow client. This is true, but chances are that a well-marked commercial parking lot or property will be easier to find in the dark when it’s snowing and thus less likely to be overlooked for snow plowing. This will increase the driver’s snow removal productivity and decrease the chance of us getting a call from an unhappy snow removal client who was missed even worse had a customer or employee slip and fall. The most satisfied clients usually are the ones who have never been missed and when they arrive to work their parking lots are down to bare and wet pavement.